Jennifer Joyce Writes: Writing Book Ten: Part Eleven - We Have a Title! 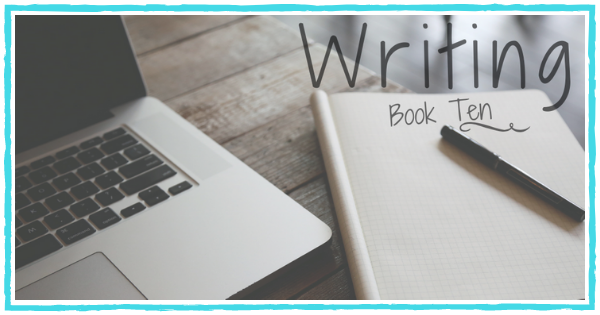 Writing Book Ten: Part Eleven - We Have a Title! Do you remember this snippet from my last entry? Obviously, I made a big mistake. You should never say that something is going well unless a spanner gets thrown into the works, because guess what? A spanner is going to get chucked in there at some point, probably within days or even hours of the statement. That's just the way life works, I'm afraid, and touching wood makes no difference whatsoever. So, I had a bit of a spanner in the works last week. It was nothing major - just some pesky germs that had me feeling extremely sorry for myself as I lay on the sofa, binge-watching After Life on Netflix and clearing some space on the Sky box - but it meant I didn't write for a few days. Luckily, I was slightly ahead of my word count schedule so I haven't fallen behind. 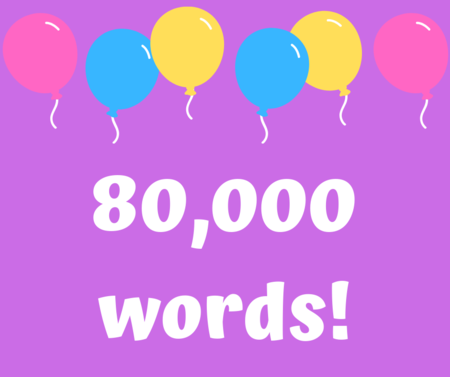 In fact, I managed to reach a mega milestone this week - the 80k mark!